Jesus Christ stop reading this and go listen to Serial! My review of the last few Sons of Anarchy episodes will be up tomorrow night. I’ve doing my best to power through the last couple of episodes during my down time this weekend, by god it’s a slog to sit through. 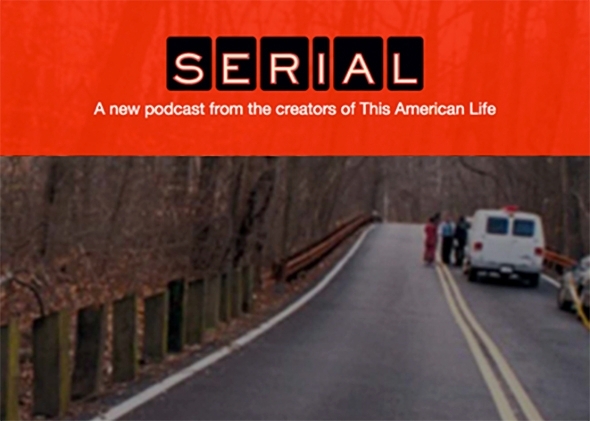 It doesn’t help that I’ve been obsessively listening to the Serial, a weekly podcast chronicling a 15 year old Maryland murder investigation that sent Adnan Syed to prison for the murder for his ex-girlfriend Hae Min Lee. I defer to the serialpodcast.org page for specifics. On January 13, 1999, a girl named Hae Min Lee, a senior at Woodlawn High School in Baltimore County, Maryland, disappeared. A month later, her body turned up in a city park. She’d been strangled. Her 17-year-old ex-boyfriend, Adnan Syed, was arrested for the crime, and within a year, he was convicted and sentenced to spend the rest of his life in prison. The case against him was largely based on the story of one witness, Adnan’s friend Jay, who testified that he helped Adnan bury Hae’s body. But Adnan has always maintained he had nothing to do with Hae’s death. Some people believe he’s telling the truth. Many others don’t. By the end of the first episode I was HOOKED. Sarah is an amazing narrator and immediately brought me into this world. Maybe it’s because I’m roughly the same age as Adnan, and lived in that world of 1999. It’s just all very engrossing. Do yourself a favor and check it out, new episodes air every Thursday.